Color Sensational® Shaping Lip Liner creates a fully defined lip look that helps lipstick stay put for your most impactful lip. 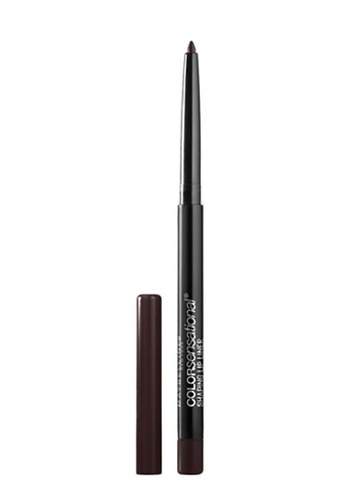 Easily define your lip shape with this creamy liner. Coordinate your lip look with matching Color Sensational® Lip Colors or create bold definition by lining your lips in a darker shade. The lip options are endless! How to use:- Step 1. Define a Cupid's Bow: Draw an X at the top center of lips.- Step 2. Outline Outer Lips: Slightly over draw at your natural lip line.- Step 3. Contour Inside Lips: Softly use liner in your lip corners and center of lip curves.- Step 4. Fill: Start from the center of your lips and fill in with Color Sensational® Lip Color. Can't find Maybelline Color Sensational Lip Liner Rich Chocolate in your size?